TNA.... On the Comeback Trail? Would The WWE Be Foolish to Split Up The New Day? We all know of the legend known as The Undertaker. We all know of his history at WrestleMania. What is less known however is the Undertaker has the record for the most appearances in Sunmerslam history and he also has the most wins at this event. 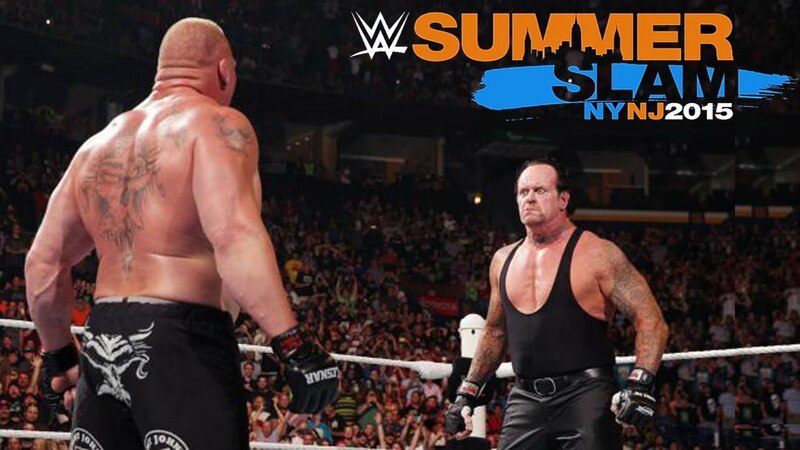 The Undertaker has had some legendary match ups at WWE’s second biggest event of the year Summerslam. So let's take a look at the best of them. -This match was outstanding. It was the first of its kind and it was a huge turning point. Undertaker had never encountered an opposition that could match his pain threshold until Mankind came along. The significance of this match is not only its originality, but it marked the end of the Paul Bearer/ Undertaker partnership (for a little while), as Bearer would turn his back on his longtime confidant and aligned himself with Mankind. Undertaker and Mankind literally beat the hell out of each other in what would later be known as a trademark Mankind match. -While this match was really a set up to Bret Hart vs HBK, it still did not disappoint. Bret had turned heel earlier in the year at the same event Taker won the WWE title. There was a lot riding on this match, but if Bret lost he wouldn't wrestle in America ever again. HBK being the referee was significant, as he would cost the Undertaker the championship by accidentally hitting him with a steel chair. 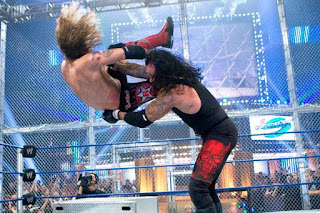 This was a match between two great workhorses and Taker showed a side of himself that proved he could hang with arguably the greatest in ring technician in history. 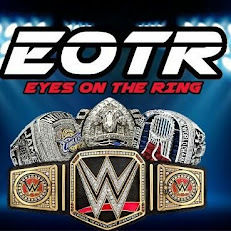 -This match began with Lesnar ending the Streak a year prior. We knew eventually Taker would be out for revenge and we got it. While I thought this match might have been a repeat because Taker looked pretty bad at WrestleMania 30, Taker moved well in this match. This match was back and forth but you literally had no idea who was going to win this match as Taker challenged Lesnar as no one had in about 2 years. The ending was strange, but I felt the right man won the match. Taker had put Lesnar over in the biggest possible way so Taker needed this one. -Quite possibly the greatest rivalry in Edge’s career. Taker and Edge had been trying to get a hold of each other since Survivor Series of the year prior. Every time they met in the ring it was greatness, but this particular match told a story. Edge had taken on a new persona as a lunatic who felt he needed to be that way to beat Undertaker in hell in a cell. Taker had been banned from WWE for a while so his comeback was going to be well received. Although this was the first main event of the PG era, it still was a brutal and violent affair. The aftermath of the match still amazes me to this day. -Hands down (in my opinion), the greatest match Undertaker has had at Summerslam. Undertaker was in the tweener stage as Austin was the bonafide babyface. It was going to be hard to follow what I feel is the greatest ladder match ever between HHH and The Rock (another story for another day), but they definitely did. Taker was on a mission to win the title and controlled most of the match. The leap from the top rope to the table still is an iconic moment. In the end, Austin stuns taker and wins the match while Taker shows Austin respect for beating him.